On this day in 1960, Francis Gary Powers was shot down as he flew his CIA U-2A over Degtyarsk in the Soviet Union in an overflight codenamed Operation GRAND SLAM. Operation GRAND SLAM was the 24th and most ambitious overflight of the Soviet Union. The overflights took place at an altitude that placed them out of range of Soviet interceptors and, it was erroneously thought, Soviet surface-to-air missiles. It was brought down when the first of three SA-2 Guideline missiles struck it. The commander who ordered the firing of the missiles wasn’t aware of the U-2’s destruction for more than 30 minutes and one of the missiles struck and brought down a MiG-19 that had been pursuing Powers because it’s IFF transponder hadn’t been switched to the May codess due to the May Day holiday. Powers successfuly bailed out of his aircraft but was captured and even though he carried a silver dollar equiped with a saxitoxin-laced needle he didn’t use it. Upon his capture, Powers told his captors what his mission was and why he had been in Soviet airsplace because of orders he had received before embarking on his mission. 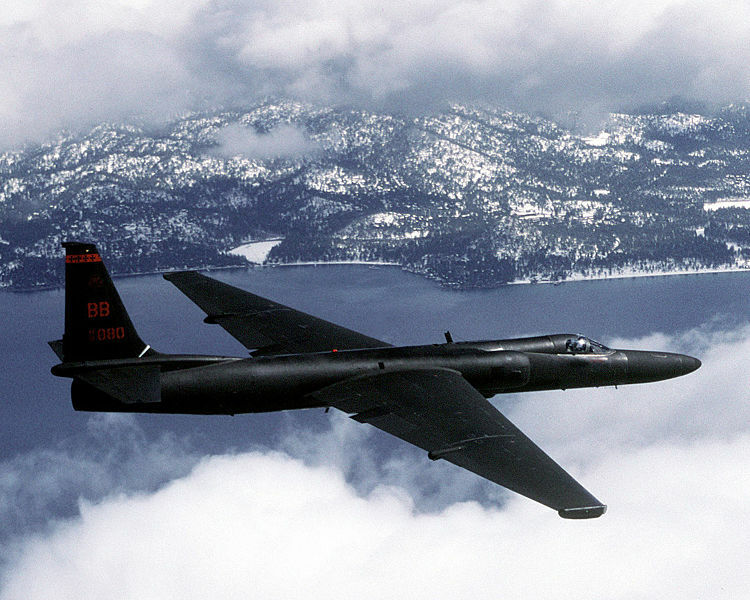 The United States at first denied the plane’s true purpose and mission but was forced to admit the overflight was a covert survelliance mission when the Soviet Union produced the intact remains of the U-2A, the pilot and photos taken during the mission. Occuring roughly two weeks before an East-West Summit in Paris, the incident (which came to be known as the US Incident) was a great embarasment to the United States and prompted a marked decline in Soviet-US relations, along with a deepening of the Cold War. Powers was placed on trial, convicted of espionage and sentenced to three years of imprisonment plus seven years hard labor, but he was released on February 10, 1962, during a prisoner exchange for Rudolf Abel. Today a large part of the U-2 wreckage as well as many items from Powers’ survival pack are on display at the Central Armed Forces Museum in Moscow and a small piece of the plane that was returned to the United Staes is on display at the National Cryptologic Museum in Maryland.